The sciences contain a dizzying array of information. From the physical and biological worlds, to the empirical and chemical, we could spend months (if not years!) immersing ourselves in experimentation and observation. 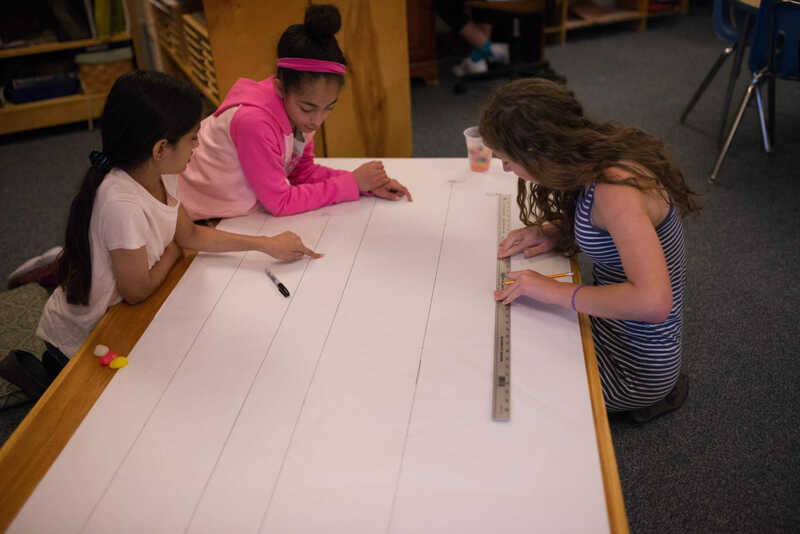 A gifted observer herself, Dr. Montessori realized that once introduced to the sciences, children will naturally be drawn to the topic areas that they are most curious about and want to be challenged in. In Montessori school, we honor this philosophy by “following the child”, or trusting the instincts and intuition of our students to direct our attention to the areas in which they display the most interest in scientific learning. Much like Math and Language, brain development at various ages and stages often dictates what the child is capable of comprehending, and observation of what children are drawn to reveals clues about what types of information they are ready to learn. This often begins with it a desire to understand concrete facts, names, and tangible items before contemplating more abstract ideas, like the relationship between objects or their classification within a hierarchical system. For this reason, we introduce biology to our Children’s House students as the gateway to the sciences. Our teachers will demonstrate to students how to make binary assumptions between living and non-living animals, plants, and objects. In this work, we bring in real specimen to help make the distinction clear, using the senses to spot the difference between movement, reproduction, growth, and digestion. When we hold up a non-living item – for instance a plastic spoon – we’ll ask questions about its behavior to help children differentiate its living and non-living status. Can this spoon breathe? Does it need to eat? Can this spoon have baby spoons? The result is a deep understanding of how to classify, before moving on to more hands-on work like sorting objects and pictures, classifying into categories, and working with activities like puzzles or posters. Once the child demonstrates a natural ability to make distinctions between living and non-living things, we move on to more categories, such as plants versus animals, vertebrates versus invertebrates, and the five different vertebrate l groups (i.e., fish, amphibians, reptiles, birds, and mammals). 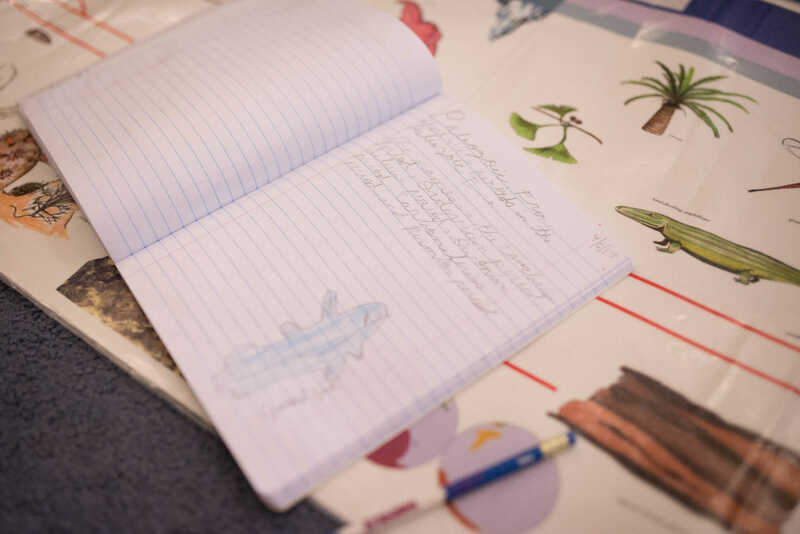 Instead of spending our time with outdated taxonomic ranks (such as genus, family, phylum), our classrooms spend the majority of their time devoted to exploring the many details that make up animal life. Just one area of interest, such as fish, is a Pandora’s box of information that children can dive into. For example, we might discuss the differences between saltwater and freshwater fish, unusual sharks, and mysterious deep sea creatures. There’s no end to what children can discover on their own, and in keeping with our “follow the child” philosophy, teachers are able to tune in to their children’s enthusiasm while keeping curriculums flexible enough to spend more time on areas of interest. In Lower and Upper Elementary, we extend children’s basic understanding of biology, continuing with other types of science. What began with basic naming of plants and animals develops into thought-provoking discussions and scientific inquiry. Discussions move from facts to theory, and asking ‘why’ becomes a habit for all students. While we enter into many types of science including Earth and space sciences, physical science, oceanography, and geology, we most often experiment and learn abstract knowledge about how air takes up space, as well as why and how tectonic plates move. At a certain point, our teaching of science, geography, and history merge together to illuminate greater context into all three areas of study. 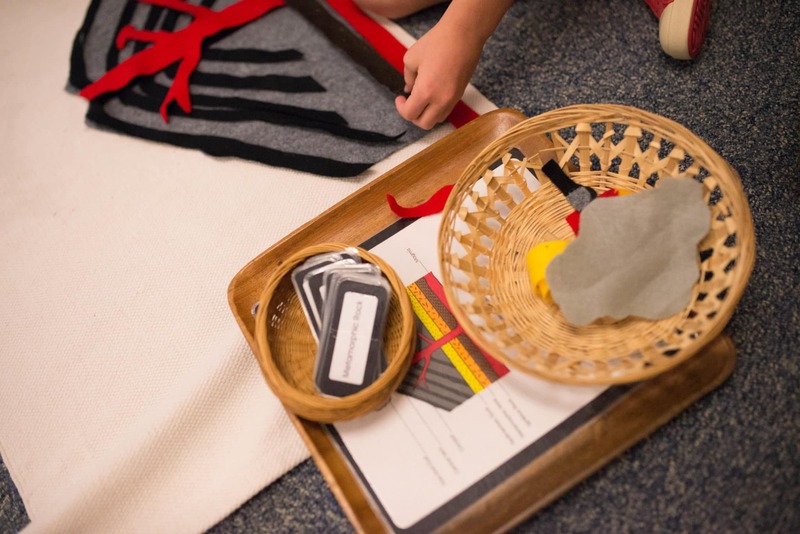 In Lower Elementary, we may discuss how history and geography played a role in evolution of animal or plant life, and later, human evolution. 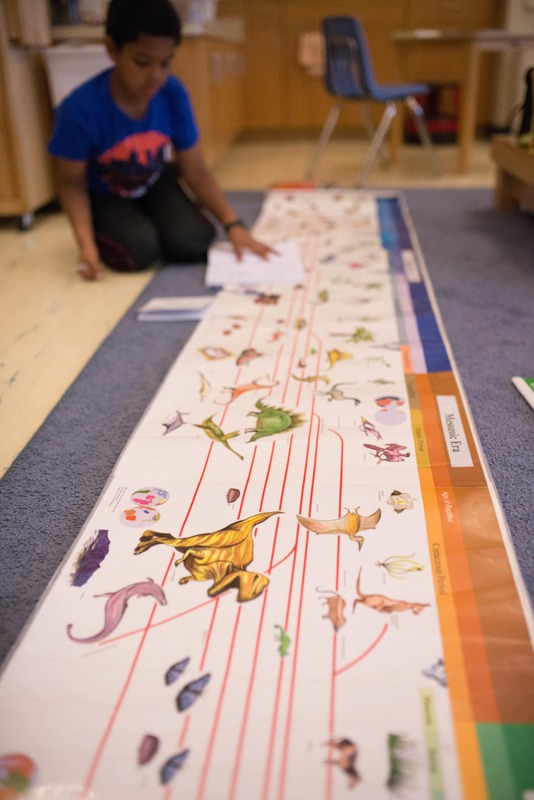 In Upper Elementary, we may break down big chunks of time, such as the Paleozoic Era, into periods of time. For instance, we may explore in more depth what’s happening in the Cambrian period during this time, and the geographic, geological, and biological factors that were taking place concurrently. In the meantime, we may also discuss the sun’s role throughout science, and how it impacted historical events, as well as climates around various parts of the world. Although we may study science, geography, and history separately, we make connections between these three subject areas, emphasizing that each area of study supports each other in giving clues and context for life on Earth. Unlike other school systems, Montessori school doesn’t use textbooks to teach the science curriculum. We use science kits or models to demonstrate how electricity or chemistry work. We make material and choose specific reading for children on various topics. 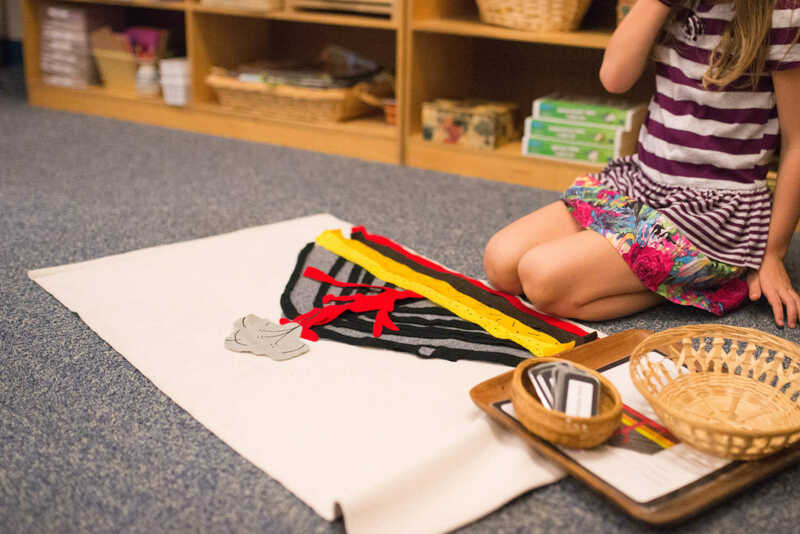 Our Montessori curriculum is partially set, but can include self-directed inquiry, which we support through age-appropriate books and reading plans, teacher-developed work and activities, and resources for parents should children demonstrate an appetite for learning more. 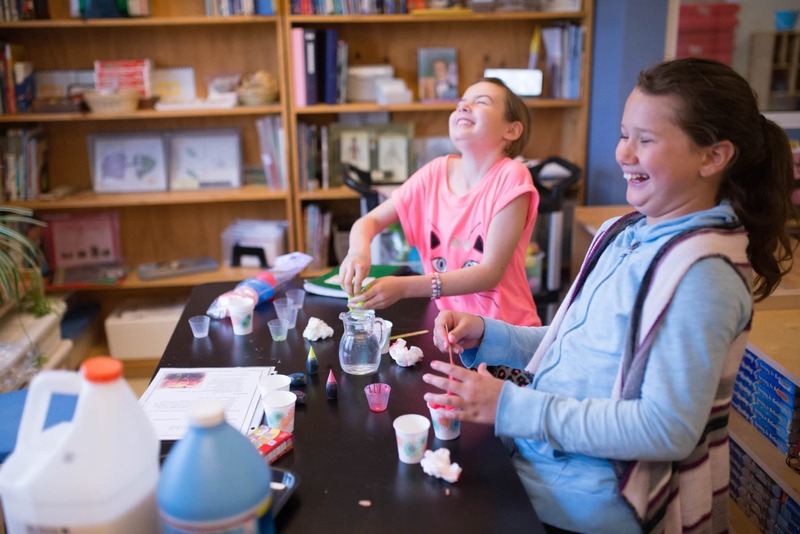 We realize that Montessori students are at a point in their education where asking ‘why’ and constant curiosity are at an all-time high, both inside and outside the classroom. To help parents stay informed of what’s being taught at the elementary level, we send home lesson plans so that parents can be prepared to field questions or direct children to the appropriate resources for further reading. We know we’re successfully teaching science when parents contact their child’s teacher, telling them that their children have become totally immersed in the solar system and asking for book, website, and activity recommendations. As Montessori educators, our first priority is to incite this thirst for knowledge and insatiable hunger to know more, especially when it comes to the sciences. With such a dynamic process for teaching and learning, we still enforce strict procedures for grading. In Children’s House and Lower Elementary, we don’t give grades, but rather, send children home with ‘satisfactory’ or ‘needs improvement’ style reviews, along with child-specific narrative for parents to review. You won’t see terminology like ‘mastery’ for a reason, as we believe this communicates total proficiency in a way that sounds like students will never have to revisit the topic again. In Upper Elementary, we do move into a 100-point grading system and extensive narratives. This decision is less about grades for grades sake, but an exercise in accountability and a feedback loop that helps students become aware of their learning and progress. We believe that effort – and how it manifests through careful, completed, fully comprehended work – is the best indicator of success inside the classroom and in the world.